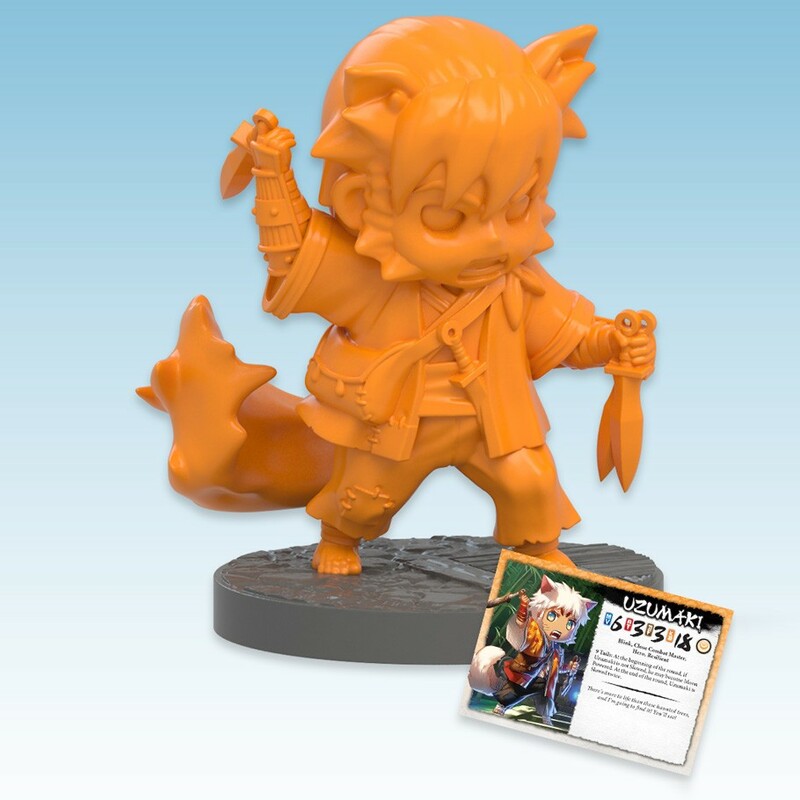 Uzumaki is a Clan Kitsune-themed Hero for Ninja All-Stars. Heroes bring potent new abilities to a player's team that are entirely unique to them. Each Hero is themed to a single clan and make must-have additions for players who pick up the clan box. Uzumaki is unlike his otherwise reclusive Kitsune kin. Where others recoil at the sight of travelers, Uzumaki is often the first to greet them and offer them warding runes and medicines in exchange for stories of the world beyond his clans' hallowed forests. Social, skilled, and savvy, he is ill-suited for the more solemn life his clan's spirit-haunted trees offer. For these reasons, he has been sent to the Moonlight Tournament as their first ever envoy in over a century.